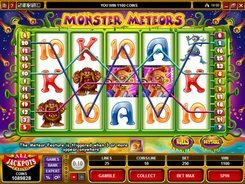 Monster Meteors is a 5-reel 25-payline slot from Microgaming. 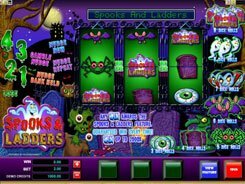 The reels are full of scary alien monsters who landed on Earth in hopes of invading the planet, and even playing card symbols are designed to look like alien bacteria or weird plants. A coin size ranges from a penny to $0.1, with a maximum of 10 coins accepted per line; thus, the maximum bet reaches as low as $25. The slot has a wild, a scatter and a bonus round. 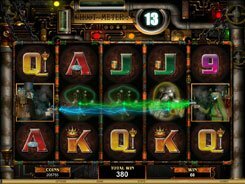 The wild is depicted by the Soldier; it substitutes for other non-feature symbols and pay out the slot’s jackpot of $5000. 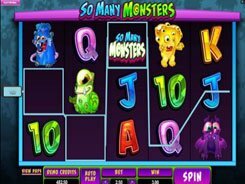 The second-largest jackpot of $3000 is awarded for five green monsters occurring on a payline. The bonus feature is activated by three Meteor scatters. 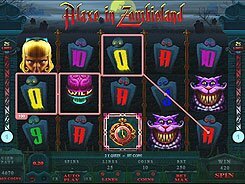 You are awarded five initial free spins, and then you are taken to the second screen that shows six monsters. 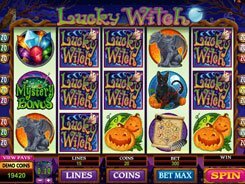 You are to pick three and reveal what is hidden behind them (extra free spins, extra multipliers and instant cash prizes). 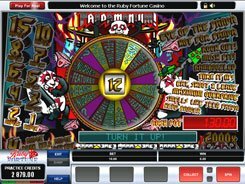 After you have made the three picks, the free spins round is triggered. PLAY FOR REAL MONEY!